Spending some time away from Mexico over December and January, I feel like I returned with an even stronger radar for all things Uniquely Mexican. These are the things that go on in day-to-day Mexico that almost become normal but that make living here so much fun! 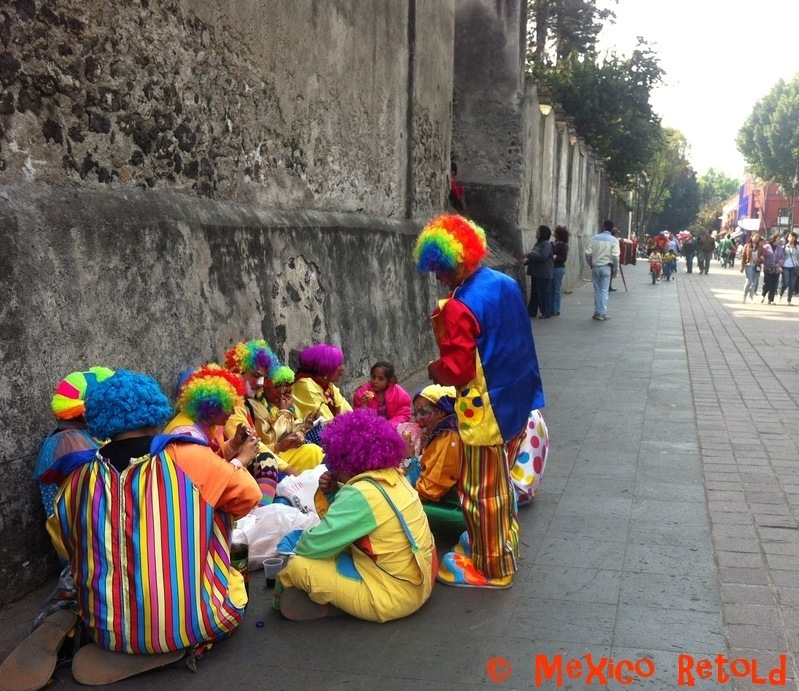 I mentioned clowns in the first Uniquely Mexico blog, but they need to be mentioned again. This time I saw a whole posse of payasos hanging out together for lunch. A few sandwiches, coca-colas and some serious joke swapping took place before they were up and doing a tag-team race around the Zocalo. Just your everyday Mexican sight! 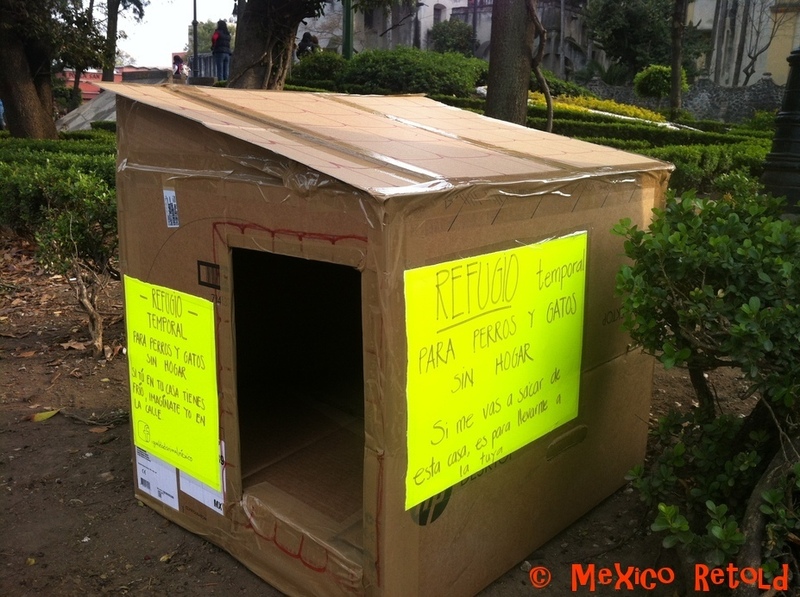 This little temporary shelter for street dogs (and cats) I came across made me smile. We have had a lot of cold weather in Mexico recently and this sweet person was clearly worried about the animals suffering. One question though, do these dogs and cats know how to read? Isn’t it brilliant how anyone dressed in a uniform or costume doing normal things just looks so funny? 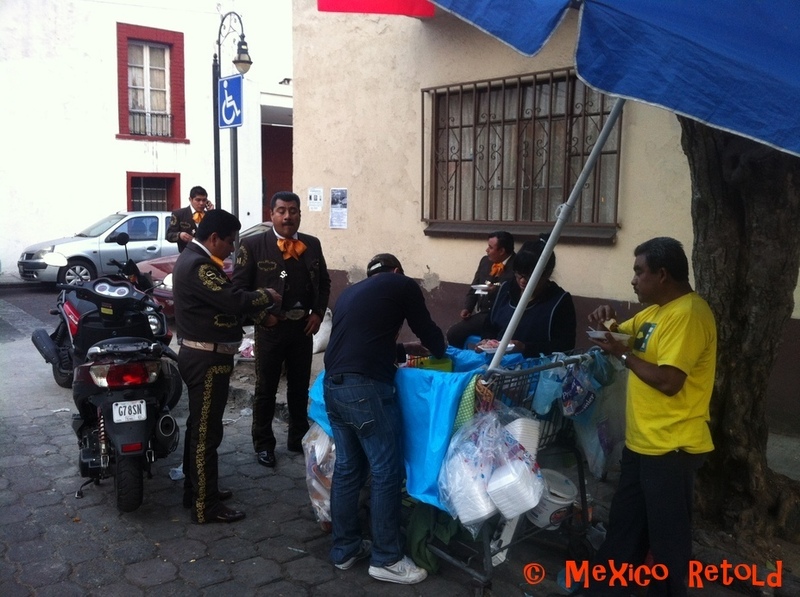 I couldn’t help but snap a pic of these Mariachis taking a break for a taco or two. However, I was nearly distracted at the last minute by a dog walking past wearing a top hat. I kid you not, my camera didn’t know which way to turn. Here it is again; uniform + ordinary action = funny. 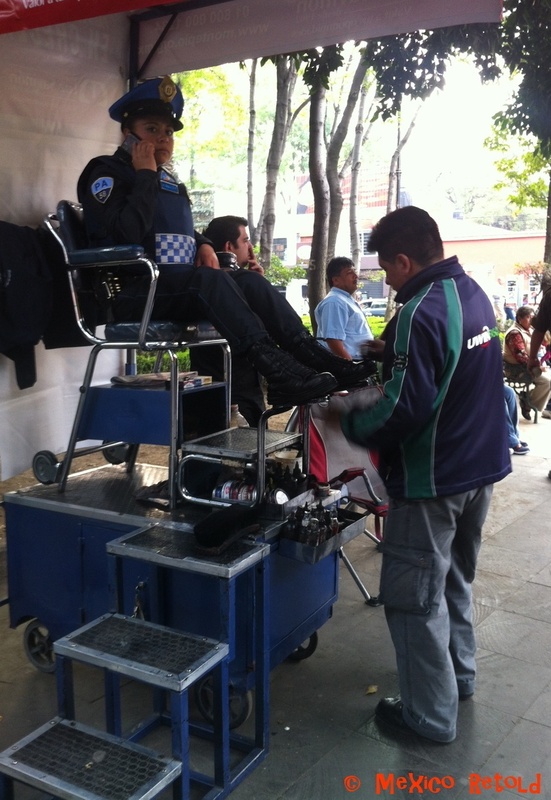 This police officer having her shoes polished, chatting on the phone made a wonderful sight. Talk about stylin’ it! 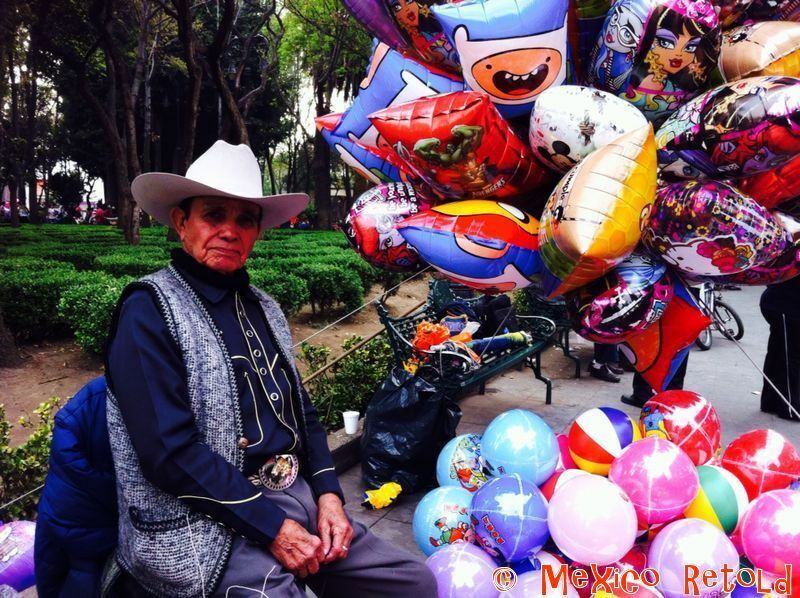 This guy is possibly the most brilliantly dressed balloon seller I have ever seen. When we told him we loved his shirt, he couldn’t believe it. I guess for him this is just his normal, everyday wear. What a dude! We’re a class of 6 and 7 year olds in Norfolk, UK, and found your blog while looking for blogs from all the different continents of the world. 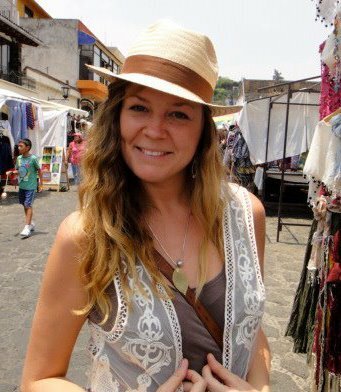 We would be particularly interested in any really cool places in Mexico that you could recommend for us to explore online and find information about. I love this and have asked my followers to visit your blog too! Good luck getting as many countries as possible. I left a comment on your site and apparently it went into spam. It told me to let you know! Thanks for your lovely message. Our teacher, Mr Slater, retrieved it from the spam folder (a lot of our messages seem to go there – we think it’s something to do with the website that hosts our blog) and read it to us. We’re going to be investigating some of the exciting places you told us about tomorrow afternoon and we’ll let you know how we get on. As promised, we explored the places you thought we should visit in Mexico, and did some drawing and writing about the temples at Chichen Itza. The link to the post is here.